This year marks 2019 on the Western calendar, or on the Chinese calendar the Year of the Pig, beginning on Tuesday, February 5, 2019. The Pig represents the 12th year in the 12 year cycle of the Chinese zodiac. 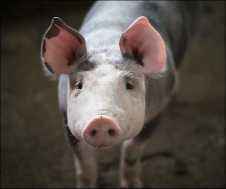 Pigs, and those born under compatible signs, can benefit from luck or good fortune during a Pig year  i.e., 1935, 1947, 1959, 1971, 1983, 1995, 2007, and 2019. In 2019, those born in a pig year finally come into the full energy of their own sign. With all of the patient pig's attention to detail, the table has been set for a banquet year and pigs will enjoy sharing the feast with their family, friends and business associates. This will be a lucky year — with prosperity coming from success in business but also from unexpected money. Good fortune in 2019 is also ahead for romantic adventures. A marriage for the pig this year is blessed with good omens. Family, always important to the pig, will be well taken care of and the home ruled by the pig will enjoy harmony and good fortune. Old business will be successful and new ventures will be fortunate. For the world at large, the Pig is the last sign of the Chinese zodiac and usually represents new beginnings. The Year of the Pig therefore may bring a new start in international diplomacy and new partnerships being forged to benefit all. Indeed, stronger social programs may well be initiated by government leaders who are inspired by the Pig's altruism and generosity. A strong influence over the entire zodiac will be felt also. The showy Rooster, for example, will do well to heed the Pig's thoughtfulness when dealing with others, while those born under the sign of The Dragon may find inspiration from the Pig's calm approach to life. According to Chinese tradition, the pig is one of the happiest signs of the zodiac, especially when they help to make others so. But while the pig's eternal optimism can be very contagious -- beware! Despite all their more admirable traits, Pigs can also be naive and become an easy mark for devious or underhanded people. 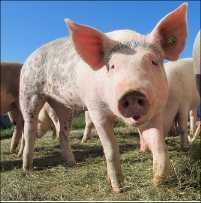 So each of us would do well to temper the Pig's natural idealism with a healthy dose of realistic expectation. For more specific information and learn more about what the omens are for your future in the New Year, check out related resources for the Year of the Pig and find out what else the animals of fortune predict for you in 2019. Wishing you and your family a year of health and prosperity! Gung Hay Fat Choy!